This description of Regi Wahyu's work was prepared when Regi Wahyu was elected to the Ashoka Fellowship in 2018. Regi is creating a fair and transparent agricultural data economy that enables farmers to access better information and financial products while maintaining ownership of their own data. As a data entrepreneur and a farm owner, Regi believes that access to new technologies and data applications can transform the agriculture supply chain and can improve farmers’ incomes. Through his organization, Hara, he is creating a new role for farmers as custodians of their own data. 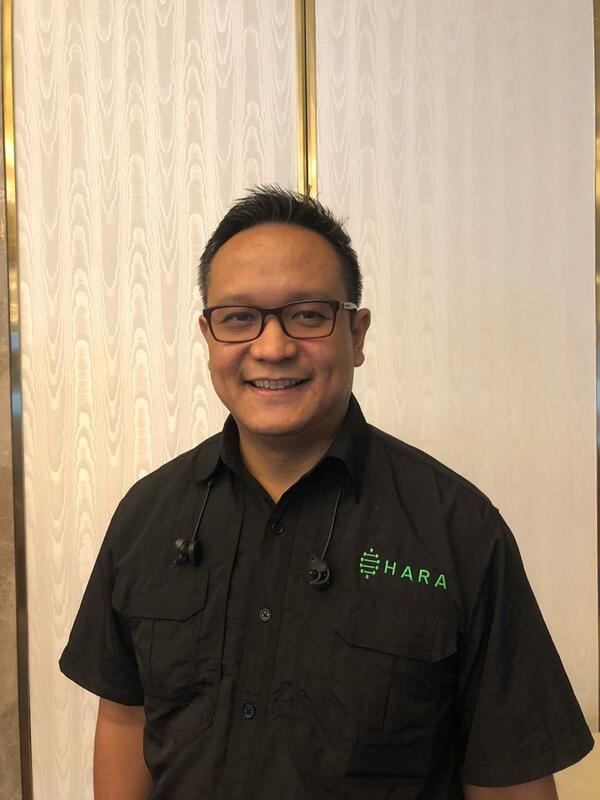 Hara is a platform for the exchange of data, using blockchain technology infrastructure to create an efficient ecosystem for the provision, verification, enrichment, and purchase of agricultural data, in a way designed to help farmers improve their productivity and incomes. Indonesian farmers have limited access to the information and financial products that could help them increase their productivity. This is because there is a lack of information that is readily available and opens sourced to them. For banks and insurance companies, it is too expensive to obtain the information they would need to make decisions about providing loans or insurance products to farmers. Regi fills the gap with HARA’s blockchain platform that allows for the secure and decentralized exchange of data, with ownership of farmers’ data falling into the hands of participating farmers. The HARA ecosystem has four main participants: people and/or organizations who submit the data (data providers), who buy the data (data buyers), who enrich the data (value-added services), and who drive the demand for data (data qualifiers). On HARA’s data exchange, participants are encouraged to submit and acquire data through a robust incentive system based on the HARA token, creating a virtuous cycle. The data collected by the farmers is made visible through the platform for everyone in the ecosystem to see, allowing every stakeholder to make informed data-driven decisions. Companies and banks purchase the data they need. This decentralized platform also empowers the farmers as it gives them the ability to access market prices, crop-based information, and services like loans or insurance. This ecosystem of data allows them to improve on their future productivity and income. Through this platform, Regi has created a movement of fair transactions not only between the farmers and all their stakeholders (banks, insurances, traders, retailers, suppliers etc.) but also between the farmers themselves through peer to peer learning. Indonesia must deal with a variety of challenges that impede its growth. The most fundamental problem the country consistently faces is the comparatively low productivity rates in its agriculture sector compared to surrounding nations. Despite the fact that agriculture represents 14% of the national GDP and provides jobs to approximately 49 million Indonesians, representing 41% of the country's total labor force, smallholder farmers are some of the poorest in the Indonesian workforce, with a monthly income that averages below 2 million Rupiah (130 USD). Many of these smallholder farmers are still invisible to the connected world. These smallholder farmers suffer from lack of access to funds, which has held them back from being able to advance in their farming techniques and therefore unable to reach their optimum crop yield. Indonesian farmers are also impacted by changing and unpredictable weather and climate change conditions, which has further affected their productivity. The lack of access to data in agriculture and the market prohibits the farmers from being able to access loans and insurance as there is no data about them. The reason behind the lack of data is that it’s too expensive for the banks to collect the information they need, which is why Regi is making the price point lower than what it would cost the bank to acquire farmer’s data as a customer. The compounded lack of data and funds in turn means that loan sharks become the farmers’ only option. Alongside this, there is a lack of shared collective data between farmers, which can help them to understand how to overcome environmental changes. Currently there are already initiatives that exist to overcome the issues within the agriculture ecosystem such as the reorganization of the stakeholders in the market by cutting out the middleman or working with the farmers to create new farming techniques. However, these do not sufficiently take into account the emerging reality that the agriculture ecosystem - farmers, insurance companies, banks, traders, retailers, government, researchers - is increasingly based on the sharing of data (market price, risk profiles, weather etc.) and it will be even more the case in the next future. For this reason, many of the problems that smallholder farmers are encountering originate from the fact that they are totally excluded from the whole data market, stemming from a situation where the data made available on the market relies on the monopoly of few centralized institutions providing data that is not accurate. Understanding this, Regi realized that without data democratization, the food and agriculture sector in Indonesia will be unable to achieve its full potential. Regi is building a platform that enables the exchange of data in a way which allows farmers to both monetize their data and access information and resources that they have been excluded from systemically, powered by transparent, secure, and decentralized blockchain technology. The HARA ecosystem has four main participants, people and/or organizations who submit the data (data providers), who buy the data (data buyers), who enrich the data (value-added services), and who verify the data (data qualifiers). By creating value for all stakeholders, Regi enables the efficient exchange of information. Regi targets the whole agriculture ecosystem but begins by enabling farmers to collect and input their own data – including things like land size and location, cultivation and yield information, pest analysis, and information about market transactions. Farmers are taught how to register their profile and collect agricultural data with the assistance of field officers in each village. These officers play an important role in building capacity among the farmers, middlemen, and others to be data providers. The officers train the farmers on the importance of data and facilitate the use and practice of technology as part of their daily routine. Most importantly, Regi has set up a process for every farmer to know their right to ownership of this data and their role as data contributors. For every bit of data shared, they are incentivized through points materialized by stamps on a carton card to keep track of the amount of data they have collected. The points collected can be used to buy fertilizers or seeds, for example, through local partners that are also in the Hara ecosystem. The farmers, rather than Hara, maintain ownership of their data and benefit whenever a buyer in the ecosystem purchases the data. Hara takes only a commission for the exchange. Specifically, the cost structure is as follows: 70% goes to the data owner, 20% to the acquisition, 10% to the verifier, and 10% to HARA itself. Through the platform, farmers become active contributors and owners to aggregate data that provides better, more localized information for them, while also monetizing their data. Additionally, with this system in place, banks, and insurance companies can access the data they need for risk profiling for loans and other financial and insurance products because the price of the data via Hara is nearly 40 percent less than what it would cost them to collect the data themselves. Thus the cost of customer acquisition for them in this market is now reduced to a manageable level. The system Regi has built thus increases farmers’ opportunity to have access to loans and insurance, as well as value-added services, allowing them to invest in new equipment and technology. In addition to banks and insurance companies, retailers and market research companies can also purchase data on the platform. The data can help retailers cater their products to farmers based on the data, giving them an incentive to participate. This is because Regi’s target is really to improve the data market while offering more accuracy. He is also engaged in initiatives with other agriculture data providers, such as IoT and satellite companies, that he incentivizes to share their data. In addition, retailers and market research companies also provide value-added services, taking raw data and enriching it with analysis and market intelligence. This data then goes back into the ecosystem for others to consume. They also act as data qualifiers, driving and justifying the demand for this data with on-the-ground sales visibility and demand potential. Furthermore, the system enables peer to peer learning between farmers allowing for farmers to learn new techniques or helping them anticipate and forecast their activity (example: being alerted by a neighbor of a pest infestation in the area and be prepared for/ able to avoid it). The platform is built on a blockchain technology infrastructure that ensures transparency across the system, ensuring accurate and reliable information. Currently, on the platform, there are 6000 farmers, two banks, two insurance companies, one off-taker, one fertilizer company, two research companies, and one company working on the traceability of crops. The farmers have been able to access loans and have already seen a 15 percent increase in yield. He hopes to extend his social impact by reaching 2 million farmers in the undeveloped areas of Indonesia in the years to come. He has also started a partnership to pilot the system in Uganda and is exploring the application of this idea in other sectors in Indonesia, such as health, education, transportation, and technology. Growing up, Regi spent his life moving around different parts of Indonesia due to his father’s job. He was born in Bogor and lived a protected life until his father, who was the head of the health department moved to Sumedang to live in a remote village. For the first time, Regi struggled to adjust to this shift in lifestyle but this gave him the opportunity to live amongst a farming community and make new friends in a small village in Java where he attended middle school. Having been raised by his parents with strong values of caring for others, Regi was able to connect with the farmers and their families and he was able to see their challenges and the inequality they had to face every day. He saw that these farmers were living below the poverty line but were contributing to a large part of the country’s GDP. It was not until he was an adult that he was able to see that being digitally excluded, it makes it hard for the farmers to be able to make the right decisions at the right time. He later moved to Bandung to continue his school and higher education. Regi always found ways outside school and university to stay engaged. In high school, he started a basketball team and got a major bank to sponsor the team. He was the local committee president for AISSEC, through which he started a recycling program for food waste. He also created the Indonesia Marketing Association to market Indonesian products to global markets. After university, he started his career as a door to door salesman in Jakarta selling cleaning services. From selling vacuum cleaners to consulting products, his drive to excel took him upwards in several companies such as DDI, GE and Dupont. At GE, he convinced the Ministry of Tourism, governor of central Java, and GE to invest in lighting up the Borobudur temple to create an economy for the temple in the night time. Throughout his childhood, Regi’s mother introduced him to the movie genre of Sci Fi. From this, he was able to imagine a futuristic world with new technology that could become a reality. This imagination was carried into his adult life and with the addition of the skill set, he gained from his corporate experience he was able to be part of a system that created data technology to tackle issues. With the influence of Sci Fi, Regi gained an imagination that allowed him to create a blockchain technology and he created HARA to find innovative solutions to pressing issues in agriculture and food security in Indonesia. Regi believes that data should benefit all aspects of people’s lives and data should not be owned by any company. People, rich or poor, urban or rural should have ownership of their data. Regi is the founder of HARA and he envisions to deliver world-changing solutions by leveraging on data and technology. Regi aims for this data technology to help the farmers and other stakeholders in the agriculture ecosystem to work with one another to improve their productivity and income. He believes the advent of new technologies will create transparent and accessible systems that will transform the agriculture and food sectors in Indonesia.